How to connect database to a cube - Fast Reports Inc. 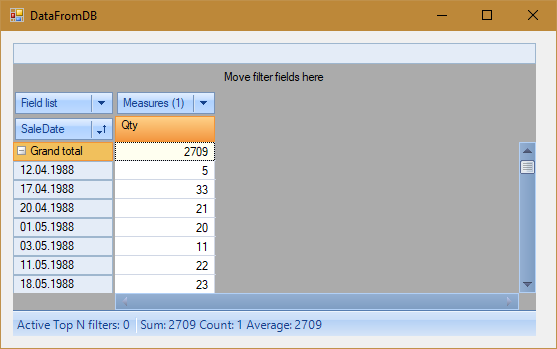 Typically, the data in the OLAP cubes are loaded from the database. • Cube file (File) - the data is already contained in the cube file along with the data scheme. For a cube filled manually or from a database, we also need to create or load its representation. For example, you can load a ready-made representation from the mds file. In this article, we'll look at the way of connecting a cube to a database. But first, let's look at the file with the data scheme. As you can see, this is a simple XML file. Therefore, there will be no difficulties in understanding it. The fields that we will get from the database are declared in the <fields> section. 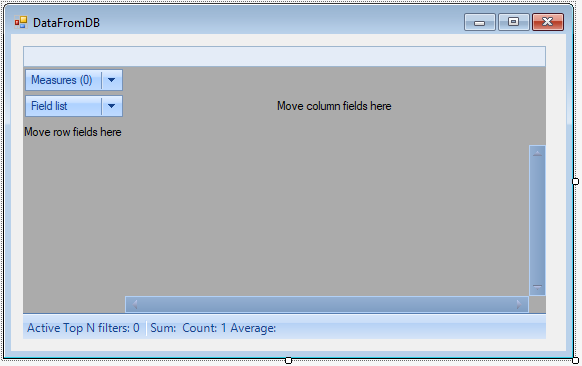 The <xaxis_fields> section contains fields that will be displayed on the X axis. Similarly, the <yaxis_fields> section, only for the Y axis, is the same. Both the X axis and the Y axis contain measurement fields, depending on the orientation of the cube. The section <measure_fields> contains fields-measures. This is all we need to know at the initial level. Our task is to load this scheme into a cube and fill it with data from the database. The easiest way to explain how this can be done is by the example. Therefore, let's create a WindowsForms application. Add libraries in the project references: FastReport.Olap, FastReport.Bars. They can be found in the folder with FastCube.Net installed: "C: \ Program Files (x86) \ FastReports \ FastCube.Net Professional". "Drag" the following components to the form from the toolbox: cube, dataSource, dbDataSet, slice, sliceGrid, oleDbConnection, oleDbCommand. Now you need to configure all these components. Let's start by connecting to the database. In the oleDbConnection1 properties, set the ConnectionString value to "Provider = Microsoft.Jet.OLEDB.4.0; Data Source =" C: \ Program Files (x86) \ FastReports \ FastCube.Net Professional \ demo.mdb "
This is a demo database from FastCube.Net. For the dbDataSet1 component, you need to set the DbCommand property - oleDBCommand1. And for DataSource1, select DataSet - dbDataSet1. Now configure cube1. Choose DataSource - DataSource1. And SourceType is a DataSource. For the slice1 component, we need to set only one property - the cube. In its properties we set slice-slice1.